So remember in my last post, I talked about going through and refreshing the house? Well, I found a color for the kitchen and went for it!! I picked a dark slate gray and I love it. 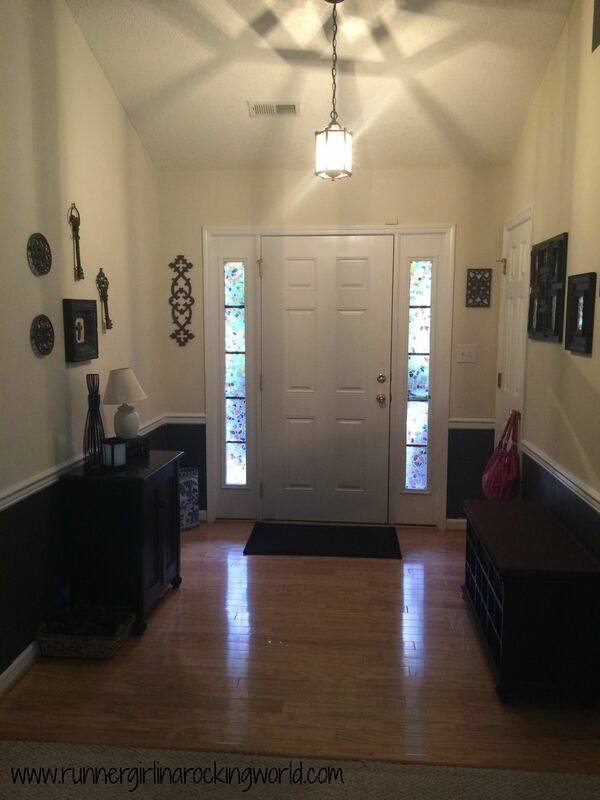 I also used the same color to paint our foyer too. It’s amazing how a fresh coat of paint can have such a big impact! Bye bye orange, hello gray!! In the foyer, I didn’t take a before picture, but we pulled up the big rug that covered the hardwoods and we bought the new shoe bench! The clutter is gone!! So happy! I still need to find accessories for the kitchen wall. I did also end up painting just that one wall all gray. We have vaulted ceilings in the kitchen so it’s a great little accent wall. I’ll post a pic once it’s all decorated. Nick and I also celebrated our 17th wedding anniversary!! It’s hard to believe that time has gone by so quickly and that we are already at 17 years?! 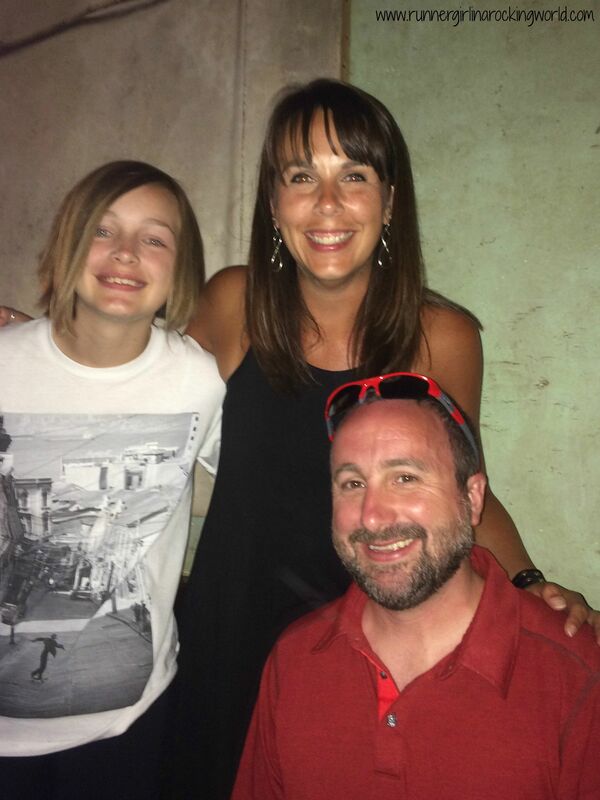 We celebrated by spending the day at the pool with friends and a great dinner out at one of our favorite restaurants. We also had a jammed packed weekend not only our celebrating our anniversary, but we also went to a going away party for our friend, Daniel. He’s headed to Taiwan for two years to teach internationally. It was great to all get together at Sticks for a drinks and dinner and just spend time together with friends. Daniel left just yesterday morning and Cara and I got to see him off at the airport. It was definitely bittersweet and we held it together until we got outside. We both blamed each other for starting the water works. We are headed out of town this weekend for one last summer hurrah! We going back to Williamsburg to meet up with our friends who live in Virginia on Friday and Nathan and Katie are tentatively coming up and we’ll see them on Saturday and Sunday. We plan on hitting Busch Gardens and Water Country USA again, as well as a trip to Colonial Williamsburg since we’re there for an extra day. I’m so excited to see our friends and spend one last long weekend away before school starts. Also more exciting news!! My college friend is moving 2 miles from me. I cannot wait until Jen, Super Dave and Kaley are here. We laugh because the whole time we were in college not once did we think that we’d be living within 2 miles of each other?! I’m so excited to have her living so close. We have that wonderful friendship where even if we didn’t see each other as often as life would let us, we just always picked up where we left off. Now there will be no more picking up!! It makes me squeal just a bit with happiness. I also can’t wait for her to meet my friends here! They are going to love her as much as I do. Shopping, shopping and more shopping! 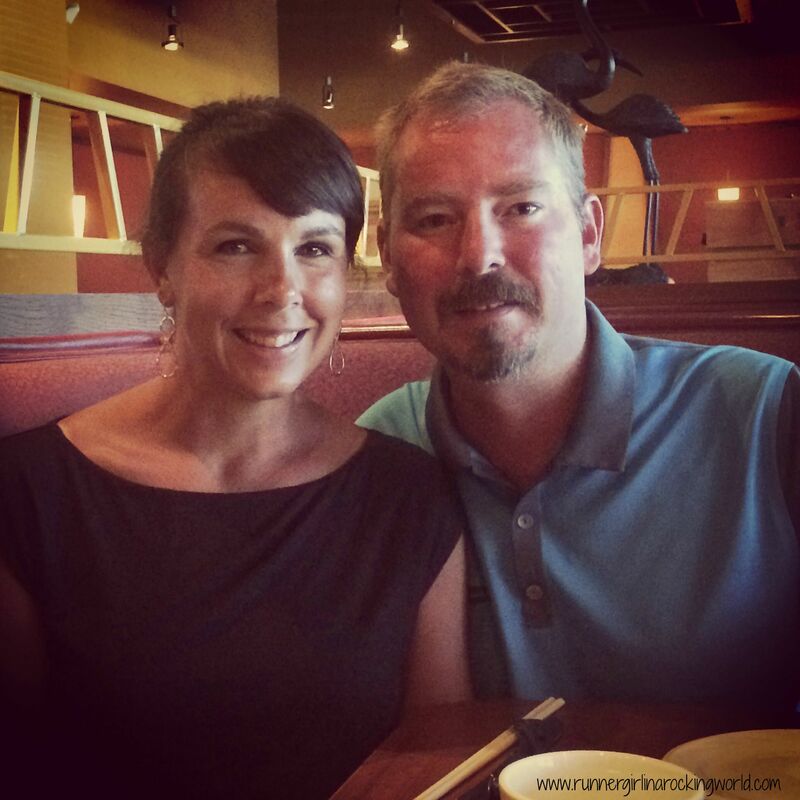 Cara, Hayden and I headed to Concord Mills for a day trip this week. We wanted to look for some school clothes and we found some awesome deals! I love a good TJ Max visit. Hayden got hooked up with some great clothes and we are all set! Next, we will have to tackle school supplies. I also hit some great deals on work clothes too. I found an amazing dress at The Loft outlet. The minute I saw a dress similar to this dress, I had to have it! It fit perfectly and I’m thinking I’ll wear it for Open House. I also get a Stitch Fix box next week too. I asked for dresses and skirts that I can wear to school. I also started a Pinterest board for my stylist for some inspiration. Maybe one of my pins will make it into my box?! Hey, wait a minute!! I didn’t mention running?!! So what’s new with you? What’s on your mind? Share it with me! Awwww happy anniversary and have a great time on your trip. LOVE LOVE LOVE the gray!!! It’s absolutely gorgeous!!! Happy Anniversary! And the gray looks great on your walls! Thank you much!! Yes, I was afraid it would be too dark, but I love it!! A couple of weeks ago, I decided to do a ‘house overhaul’ too! 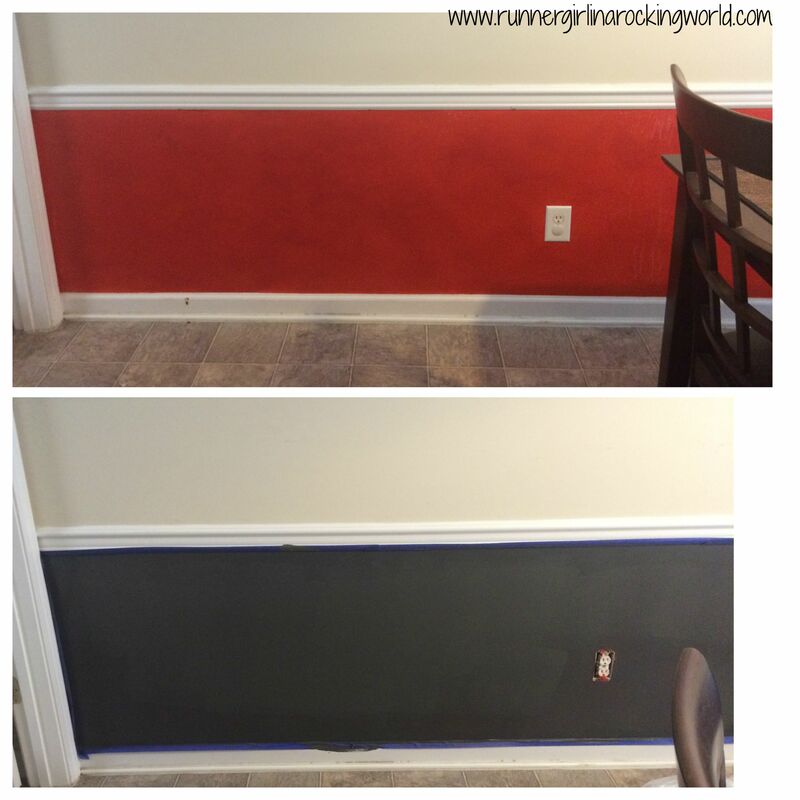 I am changing our dining room from a red to a light gray and, while I loved my red dining room, I’m excited to see it brightened up and lighter! I love the gray in your kitchen! I have a dark red accent wall in our living room. 🙂 Light gray will look great. I’m thinking of painting the rest of the walls in the house a light gray. Good luck with your overhaul! There is more to life than running! Happy anniversary! I love the new colors, I love doing little house projects like that! Enjoy the last big weekend! I hope you share your Stitch Fix book, love to see what others get! TGIF! Oh yes!! This week at least. lol I will share my Stitch Fix once I get it. I peeked to see what they were sending me already. There are some good picks in there! !